Today, there are multiple methods to keep properties secure and Locksmith National City can be of great assistance to your efforts to increase security. We can actually act in two levels. We have the knowledge and capacity to provide preventive commercial and residential locksmith services in order for you to avoid problems resulting from broken keys. This method will also fortify your office or home and make it impenetrable to intrusions. At the same time, we offer 24 hour emergency car lockout services and we can be there for any urgent lock or key problem. Being fast is perhaps the most important asset of our company. 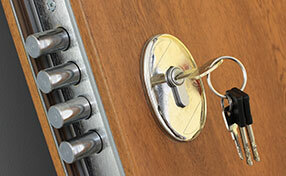 This is important for either occasional or emergency problems because any locksmith service relates to your security. For this reason, our company has brought together the best technicians and has gathered the best, new technology equipment. Our technicians are trained to offer fast lockout services because such serious problems ought to be solved quickly. When you need to replace the lost office keys, you can be sure that our company is equipped with machinery of the latest technology for this exact purpose. We can actually replace any key on-site, engage in lock repair and change damaged locks after intrusions. All these services are carried out by highly trustworthy technicians, who also have the competence to finish each job fast. We take care of emergencies on a 24 hour basis in order to protect you from threats and secure your premises as soon as possible. It is our job to offer you consultation when you need to reinforce the security of your industry, home or office. We have the ability to offer great and inexpensive solutions based on your needs and budgets. We like to inspect each property before we recommend solutions and new locks in order to offer you the best. We are experts in deadbolt installation and we can also change the locks of any cabinet or briefcase. You can trust the competence of “Locksmith National City” and call in for any problem. You can also like us on Facebook!